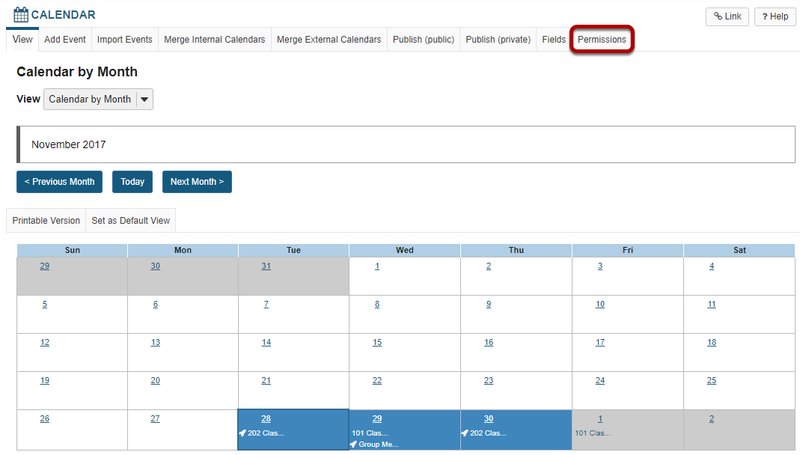 Sakai Guides and DocumentationSakai Complete User Guide CalendarHow do I modify Calendar permissions? Select the Calendar tool from the Tool Menu in your site. 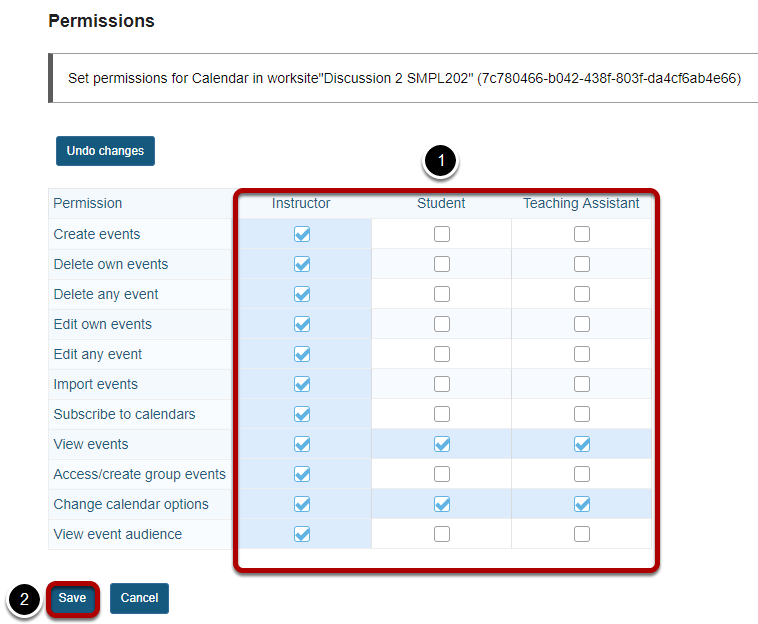 Modify the permissions for the roles listed. Note: You may see different roles listed depending on the roles which exist in your site. A role must be present in the site in order for you to modify its permissions. Prev: How do I import Calendar entries from a file? Next: What is the Chat Room tool?